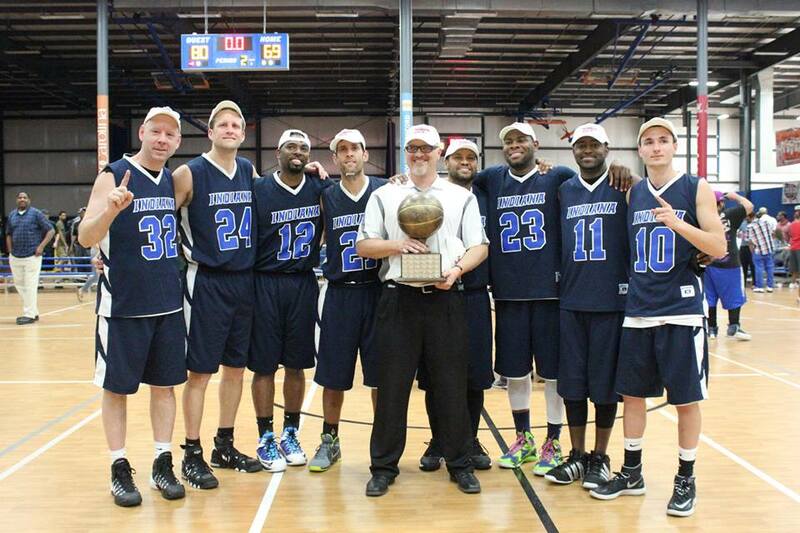 The Indy Hawks captured their third USADB Championship in seven years by defeating the previously unbeaten Frederick (MD) Showstoppers in a game the Hawks were in control of past the midway-mark of the first half, 80-69. The win, their first since 2009 when they defeated the Arizona Desert Fire in Anaheim, California, was an inspiration for many in attendance. The Hawks, featuring an 8 – man roster, relied heaving on a 6-man rotation. Behind Sekoe White’s stellar performance (25 points, 12 rebounds) and savvy point guard Robert Haney’s 18 points and 10 rebounds, the Hawks were able to keep their composure behind the magnificient play of Brian Bippus and Keith Westhoelter – both of whom have been with the Hawks for 15 years. 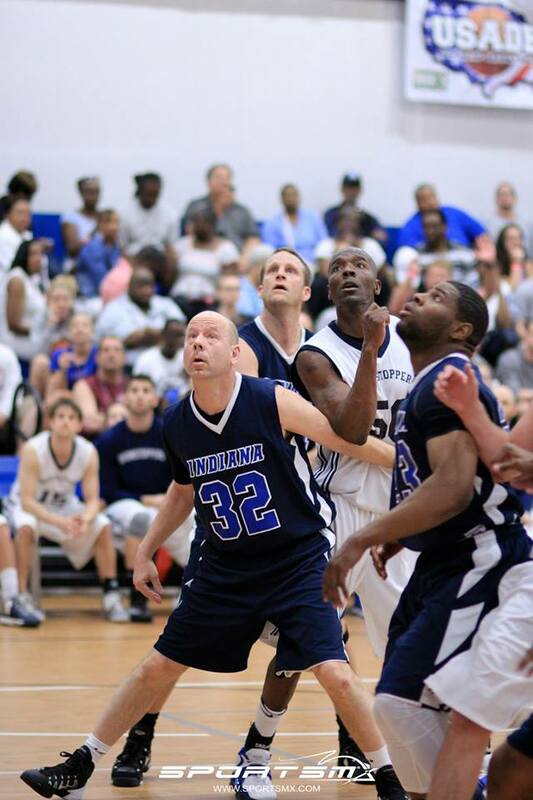 Bippus and Westhoelter were able to work in tandem in containing the Showstoppers’ Mike Kent, a 6’7 force of nature who had dominated the tournament with his rebounding and scoring. Bippus and Westhoelter scored, 6 and 11 points respectively, and most importantly – were able to keep Kent to a quiet 8 point output and block him away from snatching any rebounds. Kyle Bingham, playing in his first USADB championship game in his second season, gave the Hawks a big fire-up with 8 consecutive points in the opening ten minutes of the first half, with the Hawks down twelve while adjusting to a new defensive tweak set up only for the Frederick team, by making a strong drive and scoring two long distance 3-pointers to pull the Hawks to within four. The Hawks were able to come even on two White jumpers before taking the lead on a pair of Haney free-throws. The second half showed how composed and experienced the Hawks were in their ball movement, tight defense and consistent offensive output from the role players. Westhoelter and Matt Johnson sniped away from beyond the arc to keep the Showstoppers from doubling up on White and Haney plus Haney’s ballhandling kept the Showstoppers at bay. Sometimes, Bippus, a former point guard at times for the Hawks during his long career, would carry the ball upcourt, bringing out Kent to mid-court, allowing the Hawks free rein inside. Frederick was unable to come any closer with their star swingman, McMillan only managing 12 points. With Kent silenced, their forward Fava scored 14 and guard Berrigan had twenty in their first loss of the season. The Hawks were led by White’s 25, Haney’s 18 with Johnson’s 11 bolstering Westhoelter and Bingham’s 10 apiece. Bippus had 6 with 8 rebounds and an impressive block on a McMillan drive. White was selected tournament Most Valuable Player for the second year in a row, the first being last year when he was on the 2013 New Mexico Zia championship team. Robert Haney was selected first team All-Star. The Hawks championship was Haney and Johnson’s fifth overall title in seven years of USADB participation 2007-2014 excluding 2012). The Hawks championship appearance was their sixth in nine years. 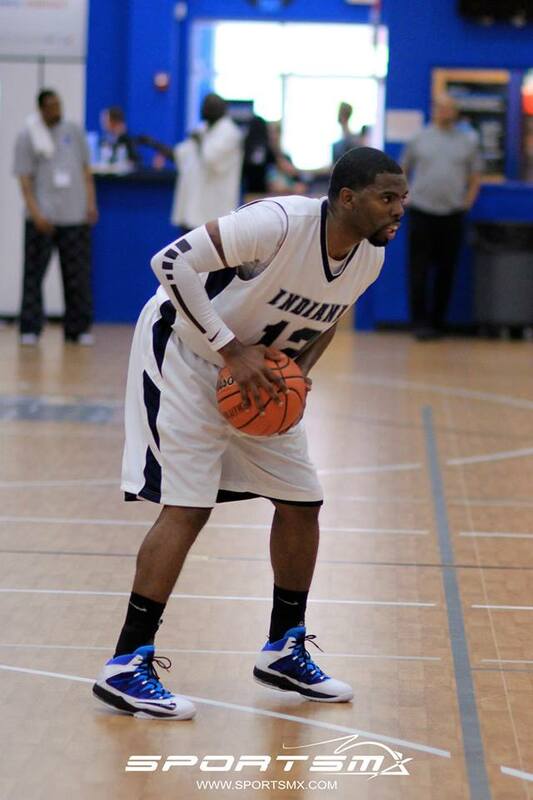 Caraharee Vasquez, a longtime Indy resident and player for various local clubs, earned his first championship in twenty years of playing club ball. The Hawks finished their season on a winning note, 18-14 with the 2014 Central and National championships. 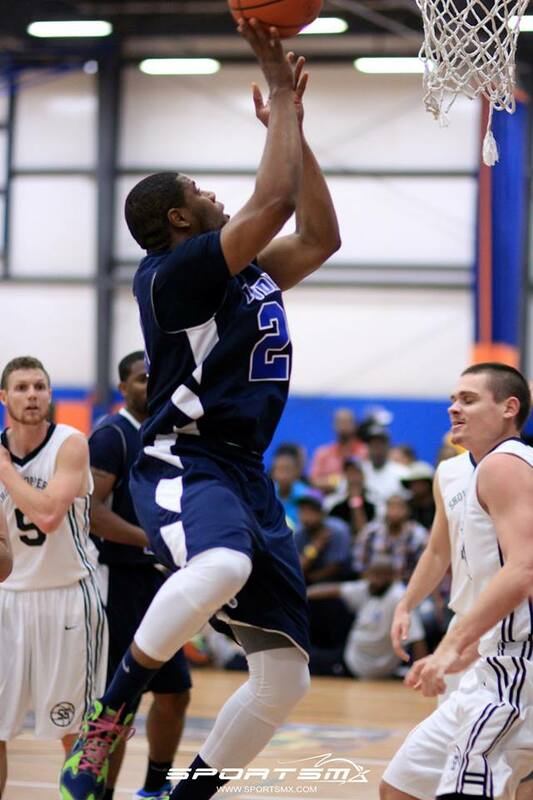 The Indy Hawks defeated the Arizona Desert Fire in a hot game in overtime, 72-66. The Hawks were flat all through the game, coming alive only when faced with being bounced from the tournament. The last 1:32 of the game saw the Hawks play ferocious defense, enabling the Hawks to come from 7 down to tie the game with 18 seconds left in regulation. In Overtime, The Hawks dominated the Desert Fire in all aspects of the game. 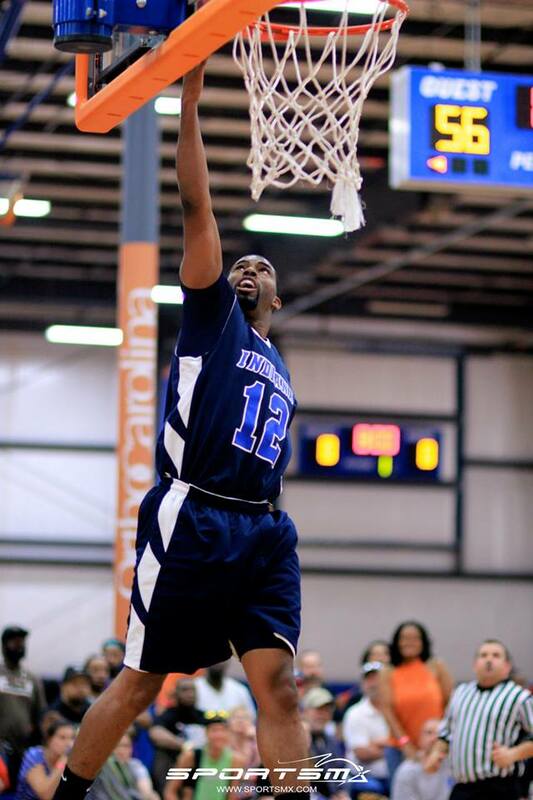 The Hawks were led by Robert Haney, Jr.’s 26 points and Sekoe White’s 20 points. Brian Bippus led the Hawks with 17 rebounds. Utilizing the skills of combo guards Robert Haney, Jr. and Sekoe White – The Hawks came out very aggressive in driving inside upon Spokane’s 6’10 center Rhett Richardson and 6’7 F Andy Helm, forcing them into immediate foul trouble. The Hawks took advantage of their absence to score at will with White scorching the nets for 35 points, Haney, Jr. for 21 and Kyle Bingham with 16. 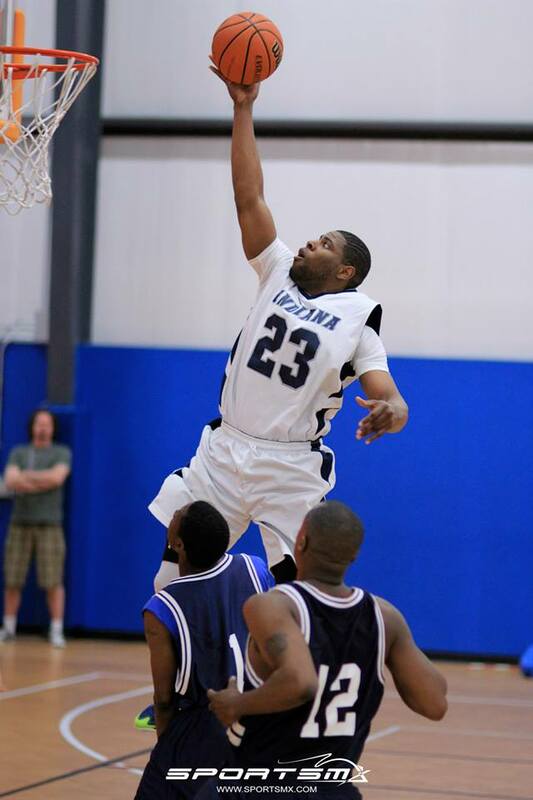 The victory propelled the Hawks into the USADB semi-finals for the second straight year to play against the Arizona Desert Fire, a long-time Deaf Club power. You are currently browsing the The Indy Hawks blog archives for April, 2014.